Love Your Ego: EGOxperiment: Magnum First Kiss - We Could Have Had It All, Rolling in the Deep! EGOxperiment: Magnum First Kiss - We Could Have Had It All, Rolling in the Deep! So yeah, I felt like using Adele's word for this post. 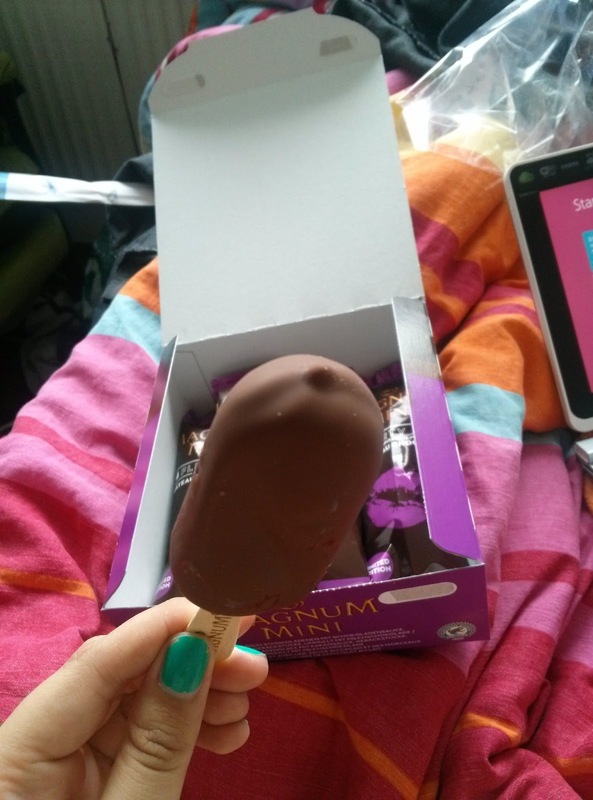 Magnum is kind of overteasing me by now. I don't really see a pattern for their releases anymore. Yes they're releasing them in order but in what times is what confuses me most. 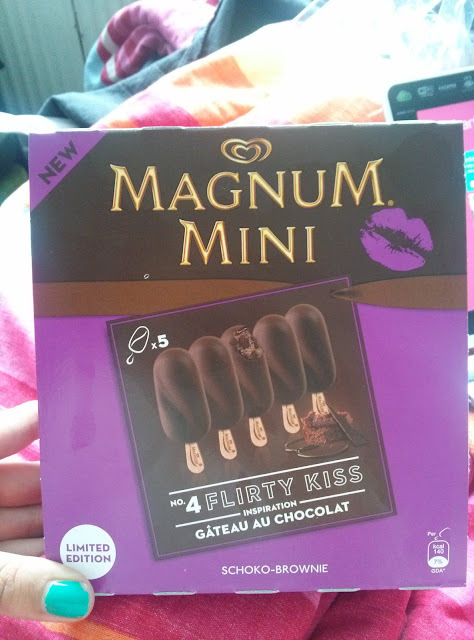 So I wanted to buy a few things for tonight this morning when I accidentally stumbled over these Magnum First Kiss minis! 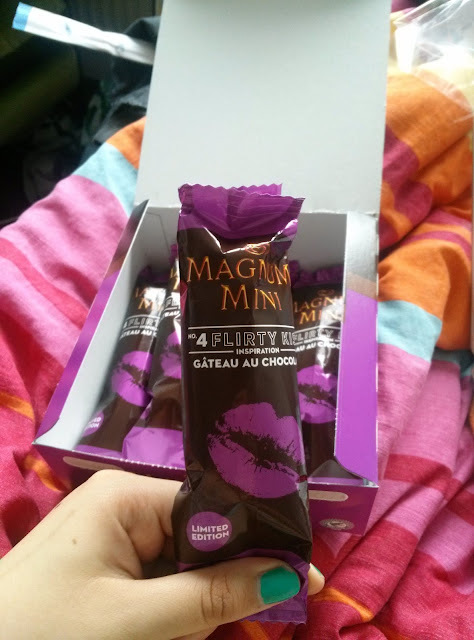 Let's get to business and review this 4th ice cream from the Magnum First Kiss limited editon! This one is called Flirty Kiss and has chocolate-brownie flavour. Again the packaging is not as nice as the regular sized version (which I haven't seen anywhere yet). Since I'm not that into chocolate ice cream I thought this one would be the one that least interested me. However the taste is incredible! 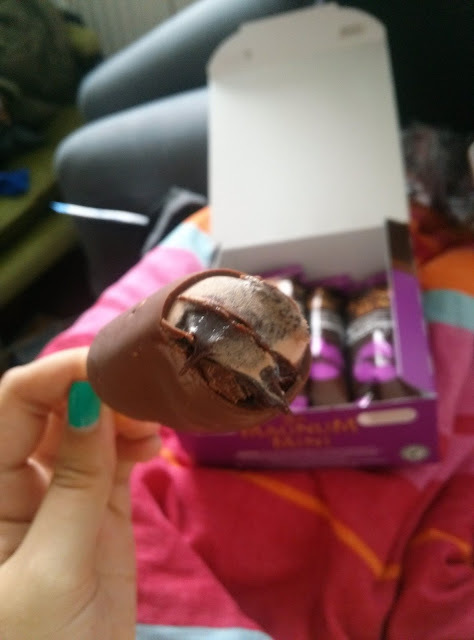 It has just the right amount of chocolate flavour and enough chocolate sauce/brownie chunks to distract me from the rest. The chocolate coat was as delicious as any Magnum ice cream bar! Look at it! My mouth gets all watery when I see this! The 4th Kiss has placed right behind the 1st Kiss. I'm so in love with this taste! Great job Magnum! Only one more Kiss left to try until I've finally found them all (again I feel like I'm collecting Pokémons :D)! I know the weather is not as ice cream friendly right now as it should be but I'm positive that better days will come! Then you guys have to give it a try!